Job offers, jobs at ACE RECRUIT S.R.L. Antal is the leader in EMEA & Asia Executive Search & Selection with a network of over 132 fully-staffed offices in 32 countries, recruiting talent in a range of industry sectors & skill functions. Since inception in 1993 Antal has placed executives in over 75 countries and offers clients a choice of recruitment & staffing solutions from Retained Executive Search, Search & Selection to Contingent executive recruiters combine their recruitment knowledge, search skills, proven headhunting & selection methodologies with knowledge & experience of your industry to deliver a truly value added service. Your Antal Recruiter actively shares information, knowledge & experience across our global network adding extensive cross sector and multi-geographic reach when recruiting with the efficiency of a single contact point. In Romania Antal has offices in 5 major cities as follows: Bucharest, Iasi, Arad, Cluj and Timisoara. 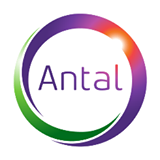 Antal Iasi office is covering N-E of Romania and all strategic sectors and disciplines.